I’m sure there are many more temples in Southeast Asia that deserve an honourable mention. ‘Wat’ do you think? – THE HEART OF INDIA WITH GOLDEN TEMPLE OF AMRITSAR DEWAN-I-KHAS. You should have posted the picture of Magnificent Tigerâ€™s Nest Monastery in Bhutan. 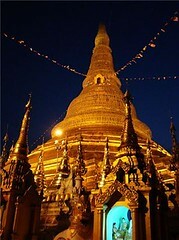 I was at Shwedagon yesterday ! Yes it’s impressive, but a bit over the top in some ways!!! Having been into many cave temples in the last few days I’ve seen enough Buddha statues to last a lifetime!! !